The committee of the Blackmore Vale Branch of the RNLI visited the lifeboat station today. 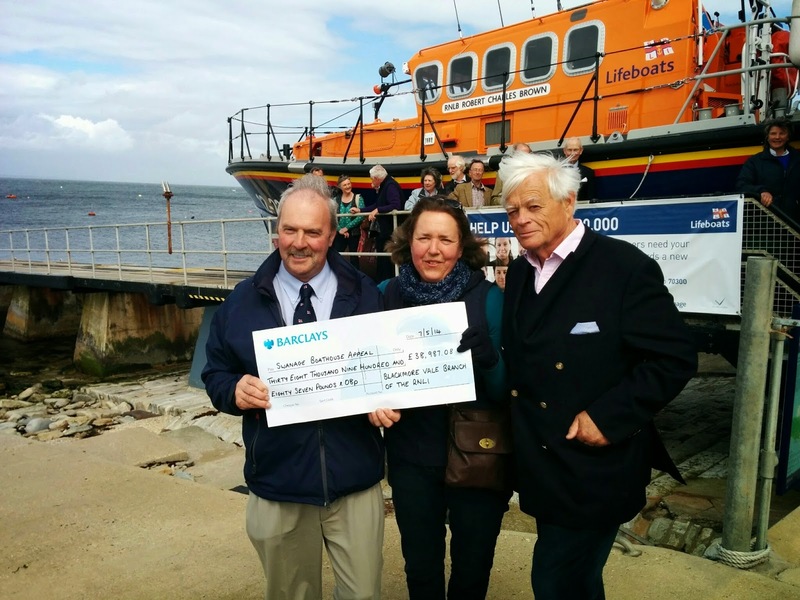 They very kindly came armed with a cheque for £38,978.08 which they have asked to be put towards our appeal for £200,000 towards the cost of our new lifeboat station. Pictured, left to right are Peter Foster - Swanage Chairman, Dori Peat - Blackmore Vale Fair Organiser and Richard Sullivan - Blackmore Vale Chairman. We're very grateful for all their hard work and support. We look forward to welcoming them back to the new lifeboat station in 2016.